From the very beginning, this wonderful project has been in the flow of Life. So much energy, love and skills came together from all sides – totally unexpected – just miraculous! 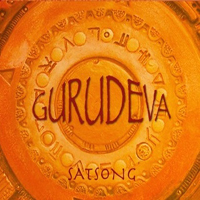 Kundalini Yoga Mantras & other musical jewels – groovy, charming, heart warming and it seems always blessed by ‚Gurudeva’. Sweet melodies melt with tender voices into one big ocean. It takes you on a musical journey inwards, where joy and silence reside. Sanskrit mantras, world-musical arrangements and a dash of mischief that lets you smile, invites you to sing along and leads you into the quiet place within. A golden thread of melodies and rhythms, from the Himalayan peaks to the beaches of Cuba, from the market place of Europe to the temples of India. This is the ‘One World Ticket! 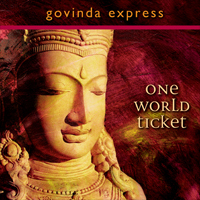 Please have a first class seat in our Govinda Express’. 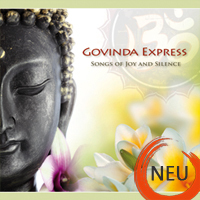 Mantras and chants from different cultures. Sung with full dedication in a choir. 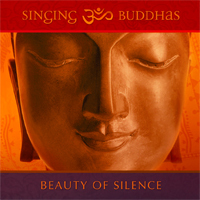 The sound of the voices opens the hearts; the silence in-between becomes a meditation. This music shares joy and aliveness. It invites you to join in with your voice and become a part of the celebration – and to again and again come back to yourself. 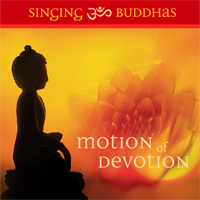 The sheer joy of singing together – in tender as well as powerful moments – was the starting point of the Singing Buddhas and their first CD creation. Light and easy, fresh and heartful are the voices and tunes – here clearly transmitted. Let them captivate you! They are contagious! The classical guitar meets the percussive world – totally organic, alive and harmonic. 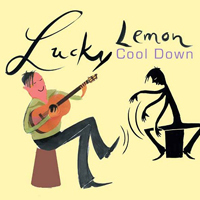 Hot Spanish rumbas, laid-back bossa novas and classical works span an exciting, creative world. This is music that stimulates, calms, touches, enchants and ignites a fire within.